Gentle Scale Modelling: Beaufighter finished and Whitley trashed! Beaufighter finished and Whitley trashed! First - the Whitley. The kit is moulded so that lots of different marks can be made. Unfortunately, this results in a rotten fit where it matters along the fuselage and around the wings. Try as I might, I could not get these "trenches" filled to any sort of decent finish so it went the same way as the Whitely that I threw away some years ago - in the bin, broken up. One day, I will get a BOAC plane to go along side my Mosquito! 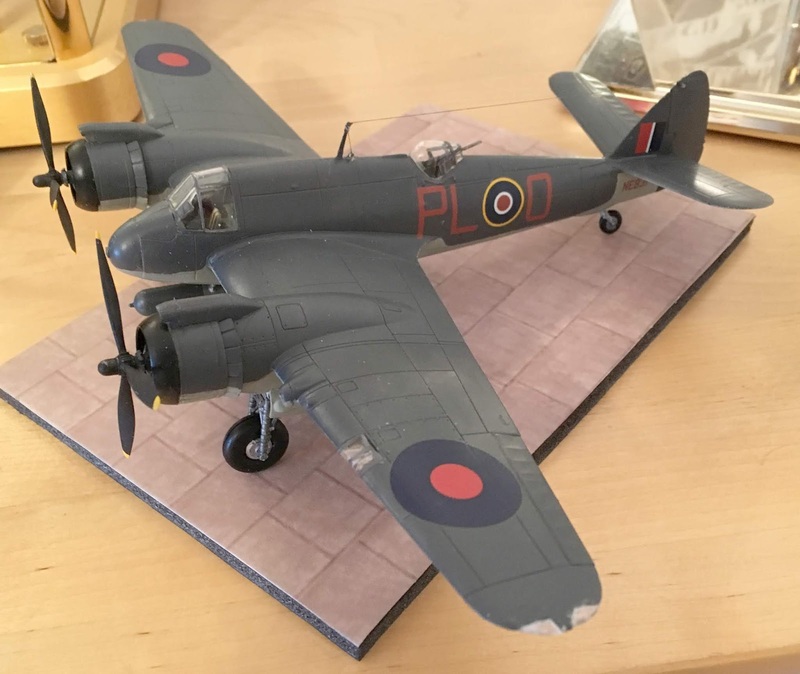 I finished the "Torbeau" in PL-O colours from 144 Squadron, Dallachy, as it was on Black Friday. 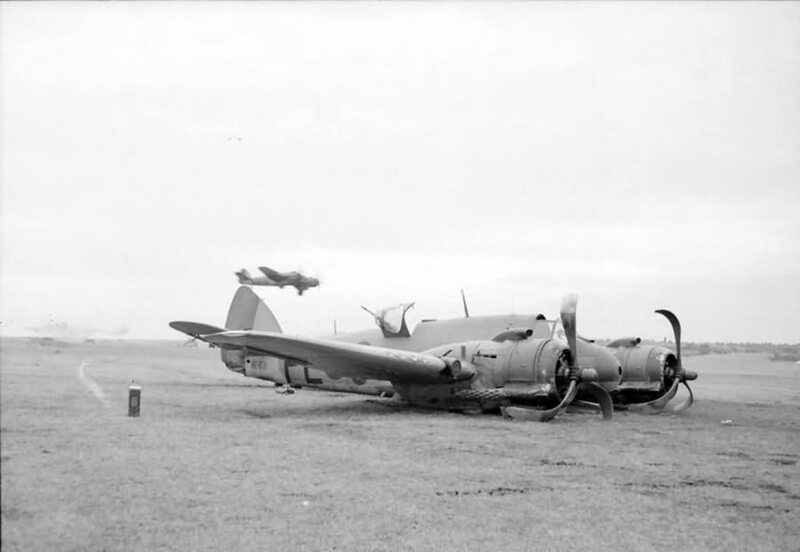 The Airfix kit comes with a 144 Squadron aircraft but I wanted to make PL-O as this one is in the famous photo having done a belly landing after being hit on that fateful day. It did make it back to Dallachy, though! I had to make up both sets of serials for PL-O and NE831. Mind you, I always have a problem and this time it is that one of the clear nav. lights has fallen out. I will try and rebuild using Krystal Kleer but it may be something that I am stuck with. There is always something! My last recent effort has been to make a Hobby Boss easy build F-86 Sabre for the forthcoming Ipswich club themed competition. It turned out harder than I thought because the kit isn't very accurate and I used Ocean Grey as the base camouflage on the upper surfaces when it should have been dark sea grey! I have bought some decals to enable me to do an RAF Sabre so I had to keep going. I have ordered a new F-86 kit from Hannants - namely an Academy one. This is considerably dearer. I have always found Academy kits to be of good quality. I have until 23rd October so 17 days to get this done - without any mistakes! I am getting some practice by building a Revell F4U Corsair in Royal Navy clipped wing version. This is going together nicely, albeit with some masking tape compressing joints as the kit is quite old with lots of flash. Photos will come later. Let's play catch up. Lots of modelling done!